Cenci Palace. Photo by Minh Tran. While the white wig clad servants in gilded coats, maids ducking quietly through secret doors, and members of Rome’s high society have long vanished, the Cenci family palace still maintains the essence of palatial life in Rome during the late 1500’s. 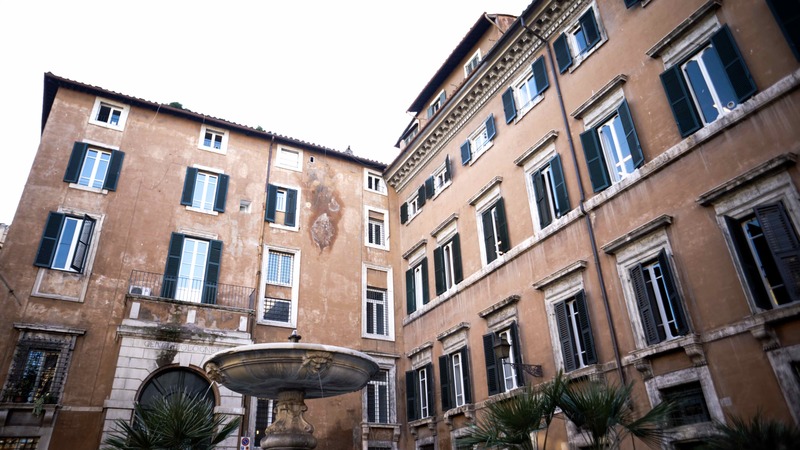 The outside of the building is like so many others in Rome and can go almost unnoticed to a passersby in the piazza. But upon crossing the threshold of the massive green doors, visitors are instantly flung back in time. 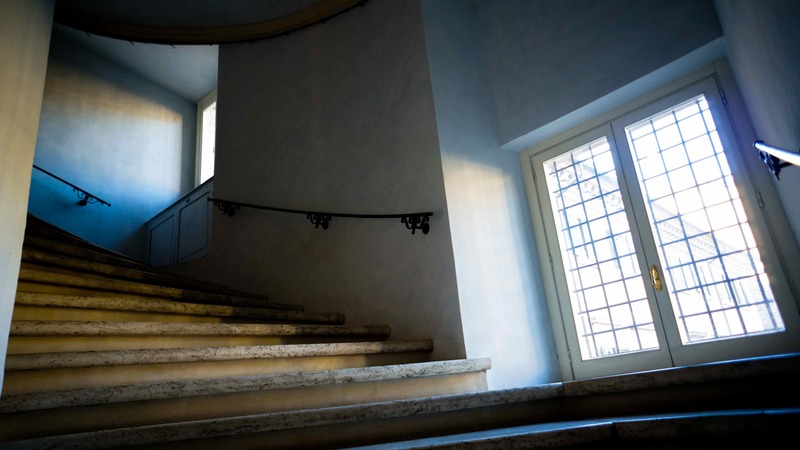 A hike up the monumental travertine spiral staircase (which is rumored to have been designed in such a way that Lord Cenci could ride his horse up them) takes you to the landing at the third floor where a heavy dark door opens into the studio spaces. Cenci Palace stair. Photo by Minh Tran. Marble floors, fresco covered walls, elaborately vaulted ceilings, and hand plastered columns make up the grand foyer. The floor of the building that the studio resides on undoubtedly must have been used for public audiences and hosting guests who needed to be put in their place by the majesty of the Cenci Palace. A visitor would have to progress through a series of rooms before reaching the actual room that Lord Cenci would be in. The first room, where most people would spend the majority of their time waiting, has a large stone fireplace and is now where the main library is located. Shelves around the room contain volumes of both contemporary and classical works of architecture, design, and history. The next room is slightly smaller in size with a much smaller fire place, this is where the students from Iowa State have their studio. The next two rooms are studio spaces for the University of Oklahoma. They are more elaborately decorated and would have been used to stage and queue visitors before they actually proceeded into the final room of the wing (our lecture hall) in which Lord Cenci would have greeted them with his notoriously terrible attitude and awful temper. Cenci Palace by Klaas Reimann-Philips. The Cenci family1 was your typical dysfunctional high ranking family of Rome’s glory years. Lord Francesco Cenci was quick to anger, fond of immorality, and an abusive husband and father. After years of crying out for help to the local officials, his wife Lucrezia and daughter Beatrice conspired to kill him while the family stayed at their summer castle. After the first attempt with poison failed, the pair resorted to more gruesome means with a hammer before shoving the Lord off a balcony to his death. Like all perpetrators of poorly executed plans of passion, they were caught and later beheaded in a public spectacle. Legend has it that on the anniversary of her death, Beatrice’s ghost crosses the Tiber River with her head in her hand. Whether or not this ghost story is true, the Cenci palace has a long and fabled history in the heart of Rome. Walking through the narrow doors of the studio spaces on a daily basis will certainly have a lasting effect on each of us, much like the cobble streets of the city around it will. Having such fine quarters with new faces in a new place will be a grand experience for the lives, educations, and future careers of the students from the University of Oklahoma College of Architecture. 1 Knopf, Alfred A. “From Ponte Sant’Angello to the Ghetto.” Rome. New York: A.A. Knopf, 2005. 254. Print. Every day on my way to studio, I pass a little hole in the wall workshop that is full of really old chairs and chandeliers and armoires for as far as I can see. One day on the way home with my friend Minh, we decided to go in just to see what was there (correction: I decided, he came with because he’s awesome). We were looking around, to the bewilderment of the people inside, just to see what was there; the front room was just as packed with antique furnishings as it looked and the back room held piles of hand tools and a small scroll saw. After introducing themselves as Valentino and Romolo (a father and son team), they told us how they make reproductions of antiques for people and restore antique originals that people bring in. After explaining that we are architecture students, they took us to their warehouse to show us all of the original pieces of furniture that they have. And by “warehouse,” I really mean a double apartment a next to Hotel Arenula a couple blocks away that has stacks and stacks of carefully placed chairs and tables and shelves and all sorts of stuff that literally goes up to the double height ceiling. All of these furnishings are originals from over the past four centuries; most of them are incredibly elaborate with ornate carvings, detailed marquetry-work, and gilding. At the warehouse, several drawings were laying on tables, all of them designs for different pieces hand drawn by Valentino. His designs range from entire built-in wall units to switch plates that he hand carves and gilds and from divans and tables to art frames, which are pieces of art in themselves. After seeing lots of intriguing things that first night, I knew I had to return to explore more. Since then, I’ve been back multiple times and he has started showing and teaching me things. He has a photo album showing some of his favorite projects over the last fifty years or so. He has several stacks of furniture books, divided by style and location and after flipping through these for a while, we go around the shop and he makes me identify different period pieces; most of them are what I call Luigis, the Italian version of Louis, referring to the French monarchs Louis XIV to Louis XVI. He saw me diagramming some pieces one day and made me actually draw some of the things there. I sat on the stairs for probably two hours sketching a putto (little cherub statue), a column capital, and part of an altarpiece (I think… He speaks exclusively in Italian so sometimes I don’t fully understand what he’s saying to me). Those three drawings are probably the best I’ve ever made. Amidst all of this history and furniture, we take gelato breaks, which are much needed (Incidentally, I have a new favorite gelato place). 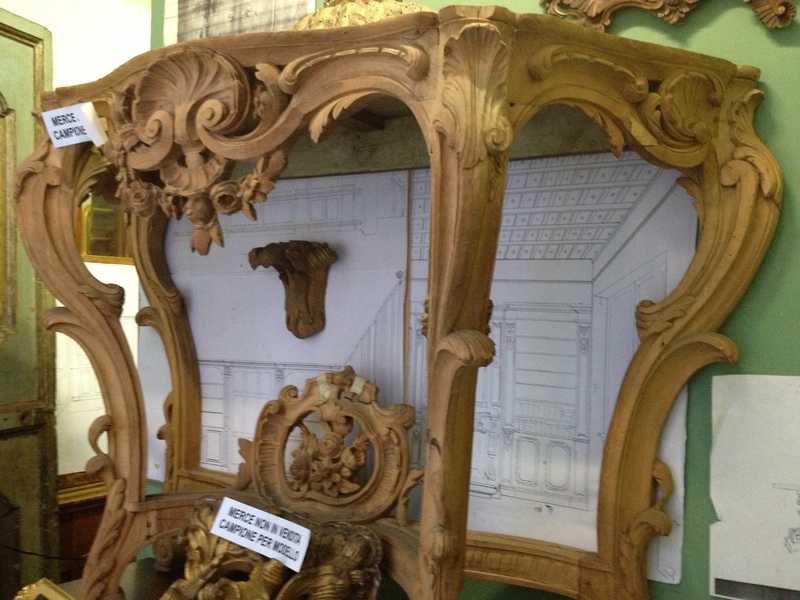 After our refreshment breaks, we go back and I continue to poke around all of these fantastic old pieces of furniture. The ones that capture my attention the most are those that are adjustable and can change depending on the exact task at hand and actually become part of the aesthetics of the piece rather than just a functional element. One of the simpler examples is an armoire with adjustable shelves. The supports for adjusting the shelves aren’t hidden or temporary but are a permanent design feature. My favorite piece is a desk that at first glance looks like a dresser. After pulling out the supports on the side, you can fold the top down to create a desk with room for your legs. Within the desk are the various typical drawers and cubbies along with a less typical arched door in the center flanked by tiny columns. The columns seemed like an odd stylistic element that takes up usable storage space, but it’s Italy, so maybe they think about that stuff differently… I was wrong. The columns are actually ingenious secret vertical drawers. If that wasn’t enough, there is a secret locking system so even if you did know the columns hid drawers, you couldn’t open them. Another desk that captured my attention was much simpler in its design, but reminded me of something I had seen at Monticello. It had a panel that slid out like a drawer that became an extended tabletop that had another inset panel which could tilt up to different angles for reading. Looking at the items in Valentino’s shop and how they were so detailed yet fairly flexible, I made a mental connection to a lecture we had recently for our Sites of Contest class. We had a speaker, Professor Kay Bea Jones, who talked about the works of Franco Albini. 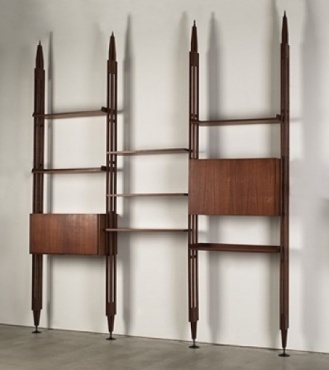 Although she focused primarily on his architecture and lack of an encompassing style, she mentioned how he also designed furniture and installations that were adjustable. She stated that Albini looked at his projects from a craftsman’s point of view, focusing on the details of how pieces were put together and how they could be quickly and easily changed depending on the desired result or use. He was also of a generation of designers who could make (and did make) everything from silverware to cities. Although Albini was about 30 years earlier, he and Valentino have marked similarities in their work and designs. Both have pieces that focus on the details of how a piece is built, rather than solely aesthetics. Many of their signature pieces are meant to be changed and adapted depending on when and how they will be used. While Albini worked mostly on a larger scale, his work encompasses everything from department stores to lighting. On a slightly smaller scale, Valentino’s work includes a similar range, from built in furniture suites to switch plates. Terry Kirk’s article Monumental Monstrosity, Monstrous Monumentality focuses on reception of the architectural sublime, and when the sublime crosses a line into monstrosity, using the Altare della Patria (pseudo-affectionately nicknamed “Il Vittoriano”) as a case study. Kirk underscores the need to realize and internalize the line we straddle as designers when designing monuments or other places of public gathering/service/etc. When dealing with the problem of effective memorialization, there is always the chance (particularly when lacking background in the event) that the design will be inadvertently offensive – even monstrous. It is without a doubt a landmark in Rome – descriptions of just how out of scale it is read like the classic form joke: “How big is the Vittoriano? Well, it’s so big that…” Possible completions include: “it’s taller than the Saturn V rocket”i, “over 20 people attended a banquet in the stomach of the horse in the equestrian statue of King Vittorio Emanuele II”ii, and “there are three different museums inside itiii”. Its white Brescian marble towers over the city, visible throughout Rome in spite of its odd stacked structure and lack of a dome. The Vittoriano follows all the “rules” of political monuments – it is grandiose, ostentatious, bombastic, and inspires a certain feeling of inadequacy in the viewer – but it is executed in such a way that plants it firmly in the school of Albert Speer, Étienne Boullée, etc., particularly when resolved while considering Italy’s Fascist period in conjunction with it. Mussolini capitalized on the monument, transforming it into the “locus of the hypnotic nightmare of Fascism”iv, and thus transformed its meaning – the way in which its expression of the sublime is experienced. It went from being awe-inspiring to loathsome, from minimizing the viewer in the face of unimaginable and steadfast unity to minimizing the viewer in the face of an uncaring, despotic government. However, Kirk additionally mentions that the only people who “actually like it” are tourists, who by definition have no cultural memory.v This seems to indicate that the form is fundamentally sound – by following the rules, it remains able to capture the attentions of people, and take their breath away, in much the same way as it did in the early 1900s. Its success amongst these cultural neophytes is undeniable – one has only to walk near Piazza Venezia in tourist season to see swarms of people ooing, aahing, and taking photos. However, by traditional measures of success, the result is less clear-cut: a common axiom still employedvi when discussing Italian culture is that it mostly doesn’t exist – that the allegiance of Italians is primarily toward their cities rather than the concept of “L’Italia”, and that Italians only identify as such when outside of Italy. What this has to do with the backlash against the Vittoriano can probably never be determined, and anyway falls more under the jurisdiction of more social sciences. However, it is amusing to note that the monument is relatively inaccessible despite its humongous size, and there are guards patrolling to ensure that visitors refrain from smoking, eating, sitting, talking, etc. – all things that are expected, even welcomed, in the public spaces of Italy.vii This is ostensibly because the Vittoriano is so precious to Italians, but Kirk is far from the only source asserting the opposite. In this light, its reception can be seen as such an incredible failure that it cannot even be treated as a normal public space, with its superintendents unable to reconcile how it would be used with the intended idea of it. I propose that its ability to continue generating controversy – in all its forms – is in fact admirable, as it shows that although a designer cannot control the reception of their design, this frees up the definition of success (particularly when speaking about monuments) to mean something subtler: the ability to keep people engaged in discussion, so that it remains relevant, and with it, the event it is memorializing. iv Kirk, Terry. “Monumental Monstrosity, Monstrous Monumentality.” Perspecta, no. 40 (January 1, 2008). vii It is really beyond bizarre that a monument celebrating “Italianness” would prohibit public talking and smoking – extremely popular Italian pastimes. The sun is shining, the wind is blowing a nice cool breeze, and the trees are beginning to bloom. Yes, finally Spring is here in Rome. So what better way to celebrate this gorgeous weather than to explore Rome, soak up some rays, and learn about probably the most captivating feature of the city; the innovative technologies in the use of water. We met up with Katherine Rinne; whom I would have to say is the expert on water in Rome and she was gracious enough to share her experience and knowledge of the famous aqueducts in Rome. Let’s face it, without water, Rome would not have existed. In order to have sustained an urban landscape such as this one, the manipulation of the hydrological elements and the developments of hydraulic elements were key for the survival of this city. Just like Goldie Locks, it could not be too much or too little water, it had to be just right; any wrong variation could mean the destruction of the city. The dynamic water system is all integrated together to deliver water in various areas of the city; all depending on who was paying for what water, and how it was being used, stored, and distributed (of course all depending on someone’s political/social agenda). The history of aqueducts is so vast that we were only able to cover a small portion of it in a short three hour stroll. To touch on a few important factors of the ever-changing development, we discussed the time period, around the 14th and 15th century when the ancient Roman aqueducts were being restored. Three gravity- flow aqueducts were added to the existing ancient sources: the Acqua Vergine, Acqua Felice, and the Acqua Paola, bringing pure potable water to the city and supplying around ninety new fountains built in the city. The slope of an aqueduct had to be perfect, usually a low gradient of 1 to 4800. If the slope was too small, and the water did not move fast enough, the build- up of bacteria and minerals would make the water undrinkable. Typically when you think of aqueducts in Rome, you picture the large spans of arches running into the city, but a lot of the infrastructure of aqueducts are actually fed underground. The volume of the space for the underground works had to be tall and wide enough to fit a person inside; you can only imagine what kind of engineering it took to build them. With the thoughts of water, aqueducts, and fountains running through my head, it was all too perfect that two days later we took a trip out to Tivoli. At Hadrian’s Villa, I was fascinated by how they strategically placed the large pools of water to take advantage of evaporative cooling (I’m sure that’s not what they called it then, but all the same). The Canopus was an area used for banquets on those hot summer days. Walking under the covered partial dome at the end of pool, you instantly feel the temperature drop. It felt absolutely wonderful standing there in the shade. The long pool at the entrance of the villa, which was originally surrounded by a colonnade was rumored to have been designed around the time it takes to digest food. This is said to be seven laps around the pool. The villa sits in the perfect location for water resources. The hill is surrounded by two streams and springs from the hills behind Tivoli that provided water to four aqueducts in Rome. All of them helped supply the large amount of water needed for the baths, fountains and pools in the complex. The same water sources used in Hadrian’s Villa, also feeds into the amazing water works at Villa D’Este. With fountains, water jets, hidden grottos, troughs, cascades, and a water organ, Villa D’ Este felt like a Renaissance waterpark. If it wasn’t for the fact that we had an hour bus ride back to Rome, I think we might have jumped in the pools and danced through the streaming water jets. The music coming from the 16th century water and air powered musical fountain was mesmerizing. We spent hours laying in the sunshine, on one of three large pools, trying to understand how the incredible engineering of this little oasis works. The infrastructures it took to create these villas are just some of the examples of the impressive ways in which water has been used throughout the history of Rome to create wonderful spaces. Though water is something we usually look over when designing, it certainly has one of the greatest impacts on the urban environment. It helps control and shape public spaces, and is ultimately what is needed to sustain life. Romans certainly were ahead of their time in the unbelievable ways they were able to manipulate and move water to the city. The Roman emperor Hadrian is more prominently known in the architectural community as possibly the best candidate for having designed and created the Pantheon. Our professor Catherine Barrett explained to me while walking through Hadrian’s villa that he was one of the first emperors to both travel to all the corners of the Roman Empire and also the first to have his residence outside of Rome. This brings up many questions about his desire to live outside of the capital that he ruled, but also provides evidence of his scholarly knowledge as well as his understanding of different types of architecture. On the journey through Hadrian’s Villa I was accompanied by two of my friends who were visiting Rome but not studying architecture. They also had no knowledge of Hadrian before the trip to my temporary home, or that his massive estate in Tivoli existed. This turned out to be a wonderful experience for me as I got to listen to their questions and ideas about the massive estate, and also channel what information I had on the emperor, his villa, and ancient Roman architecture as well. On approach to Hadrian’s Villa we were instructed to look for specific axes that Hadrian used and also to try to identify some of the different architectural techniques and styles that he used in the creation of his extremely large and extravagant residence. After the Professor’s explanation my two friends and I (Dakota and Lizzy) began to wander around the thousand plus year-old ruins and imagine what it must have been like when the ruins were newly constructed with all of the ornament and landscaping that would have been placed at the Villa. The first element that is seen once entering into the first courtyard is the hundred-yard long pool that stretches away from the villa towards the hillside of the estate that overlooks the valley below. This immediately captured our interest but we wanted to see all of the places at the villa that we had decided on when looking at a plan of the area first. The two non-architects with me stared up at the ruins fascinated and paying more attention to scale and time period than the actual buildings themselves (which I expected). This was kind of a positive for me because I was able to really think to myself all alone about how this place was actually built, the techniques used, and over all the different styles of architectural influence in the different sections of the villa. Although no one has a clear evidence of the exact influences that Hadrian used or even how many of his buildings were constructed, it was clear that different kinds of ideas were used when planning out his multi-axis, multi-building style villa. From many of the lectures from both of our professors here in Rome (Dr. Pilat and Dr. Barrett), we have been able to learn many things about both the ancient architecture in Rome and how revolutionary it was in its time and also how this ancient architecture has influenced all practice in the field after it. With these lectures as well as comparative strategies on dating and explaining architectural details, I have been able to learn different ways to view and analyze different time periods of building styles throughout Rome. I mention this to tie back my previous conversation about Hadrian’s Villa. Earlier in our time here in Rome we were lucky enough to travel to Ostia Antica, which is the ancient port of Rome and like Hadrian’s is an area of ruins that are preserved and still studied by architects and archeologists alike today. At the villa I began to compare the similarities and differences between Hadrian’s Villa and Ostia Antica. This was one of the most influential periods of my trip, although small, it had an enormous impact on my understanding of architecture at its most elaborate but also functional phase in history. The Romans, even though they were maybe the most egotistical civilization in all of history, were also the most innovative and determined people architecturally, socially, and militarily then and for a great deal of time after their empire fell. After we left Hadrian’s Villa, we went up into the town of Tivoli and traveled to the Villa D’Este which, like Hadrian’s was a villa, but it was built in the Baroque period (began in late 16th century). This villa was a welcome break from Hadrian’s in the way that the more “modern” architecture that the villa was built in was able to be preserved enough that the entire estate was accessible. This time period too saw a great amount of wealth for a small amount of people. This palace was surrounded by gardens that were more elaborate than any I had ever seen in my life and for multiple hours my friends and I walked through the fountains and flowers. With my mother being a landscape architect and my inherited love for vegetation and floral design, I was in an amazing place stuck between elaborate and ornate architecture and beautiful fountains and a display of flowers that I had never seen anywhere in my world travels before. This day trip was possibly the most influential day viewing architecture and its surroundings alike that I have seen in my entire schooling career. For the last three months I have been lucky enough to walk through the streets of Rome every day, but on this day I was able to see two different amazingly influential times in architecture and was able to relate them to different things I have seen in Rome the history of architecture. This experience combined with the fact that I was able to live a part of my mother’s legacy allowed me to take something extra from this trip that I do not know if anyone else on the outing was able to. This gave me a new purpose for my schooling in design and taught me that there are other things besides building design that can dramatically affect the experience of a place. Having learned a few things about Fascist architecture before I came to Rome I already had a bit of an understanding of what it consisted of and the importance of it. It was not, however, until getting here that I really started to understand the deeper meaning behind it all. With our site of the Ara Pacis Museum being located in an area surrounding by Fascist buildings constructed and altered by Mussolini it is easy to see the power and presence this type of architecture has. It has also begun increasingly easier to pick out Fascist architecture whenever I am walking around or to question if something looks Fascist or not. The use of classical ideas and forms executed in a modern way help give this style its own character and help it stand out from the layers of history that surround it while creating its own. When you really think about it, it is not surprising that Mussolini wanted to leave behind a legacy or building tradition that would help him be remembered long after he was gone. This is the exact same thing all the ancient Roman emperors would do and he wanted to be just like them. It will be interesting to see what comes of fascist architecture in the future though. At this point in time there are still people alive from when he was in power and that still like what he did as a leader. There is no doubt that a majority of the things he did during his reign were terrible and because of that it will be interesting to see if that in a few generations buildings constructed by him are torn down just because they were built under Fascism. Italy does pretty well with preserving their history, as well as, making it anew. The Ara Pacis Museum is a perfect example of a Mussolini building that was torn down in place of another, new building with the same function. The original building was not torn down just because it was built during the Mussolini era, they had an excuse: it was not up to environmental standards and the monument was deteriorating. This is certainly true but given the circumstances surrounding its demolition and the construction of the new museum part of the reason it was torn down was simply because the current mayor of Rome did not like the building. The things Mussolini did while he was the dictator of Italy, for better or for worse have left a profound impact on both cultural and physical landscapes of the country. Actions such as tearing up the area around the Forum and displacing all of those who lived there to construct the Via dei Fori Imperiale were terrible and created massive housing problems and discontent amongst the population but others, like clearing out the area around the Mausoleum of Augustus and removing the theater from the top of it to return the monument to a portion of its original form were arguably more positive. Sure for the most part the bad things he did outweigh the good but sometimes we just have to look at things for what they are worth. 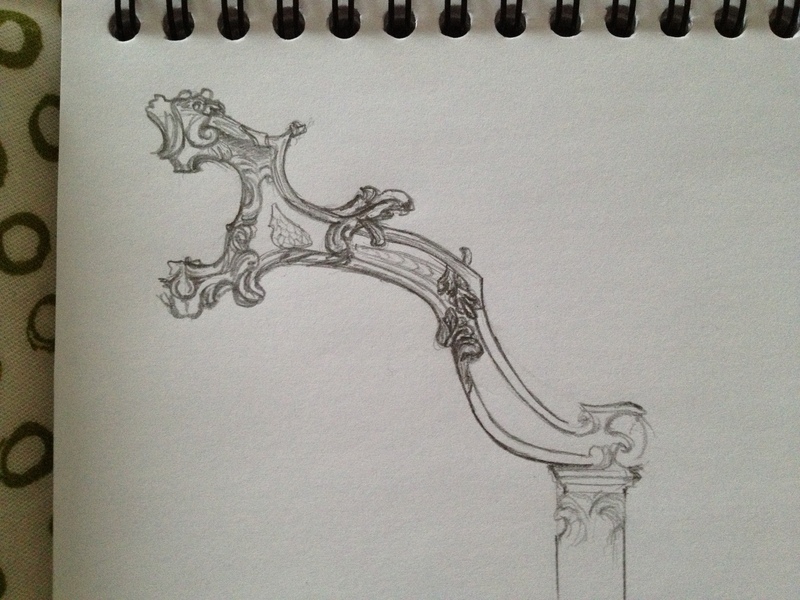 About two months ago, I met a Roman when I was at the top of Aventine Hill to sketch. He is a computer game designer and lives in the center of Rome. We talked about my study abroad program, the different life style and living habits among Italy, America, and China, and the architecture in Rome. 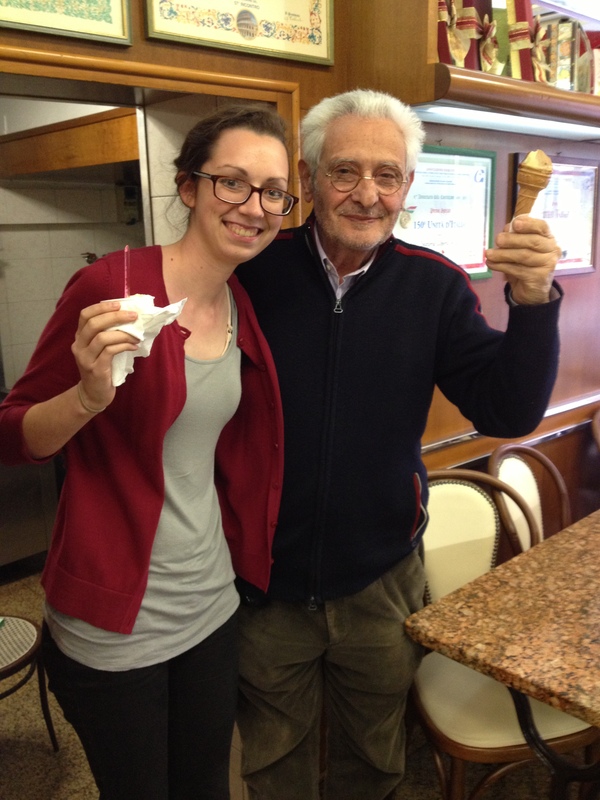 He told me that he really liked the ancient buildings in the city and enjoys staying in Rome. Considering this semester’s studio project to redesign the Ara Pacis Museum, which was designed by Richard Meier and opened in 2006, I asked him about his thoughts on the only contemporary work of architecture in the center of Rome. I had learned the background about the designing processes of the museum, so I knew that there were lots of controversies behind the building ever since Meier was announced to be the designer of the museum. 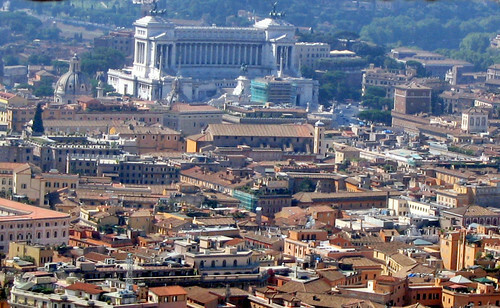 Many Roman architects and critics hate the project and refused to visit it when it was built. I wanted to know the public’s opinion today — if they already have now accepted the modern architecture designed by a foreign architect or still feel uncomfortable about visiting the white dazzling box that looks like most Meier’s buildings. He told me that the new building was just okay, and he preferred the original that was built in the Fascist era and was demolished in 2001. He said that the old one was clean, simple and classic; indeed, it was better to house the Ara Pacis and to represent the history. I recognized that, unlike tourists who appreciate a building just because of the appearance, Romans emphasize the identity behind the building. In antiquity, the Roman Empire was glorious and prosperous under its emperors’ governance and it dominated most parts of Europe. Nowadays, people still can imagine the prosperity of ancient Rome by looking at the Colosseum, Forum, and Pantheon at the center of the city. The ruins were preserved well, and not just for archeological reasons: more importantly, they convey the history that romans are really proud of. As one of the biggest tourist destinations in the world, the ruins in Rome reflect Roman identity, which is the best way to introduce the city and the people to the world. After the imperial period, even though the development of architecture and urban planning was influenced significantly by the different periods, it always maintained a noticeably Roman identity. In Antonella De Michelis’s article The garden suburb of the Garbatella, 1920-1929, she illustrates the characteristics of the neighborhood which fostered the sense of community and Roman identity during its different periods. The specific features of the different buildings in the area emphasize the unchanged identity; as a result, the Garbatella kept the essential styles and functions as the original plan, even though new types of building had been added due to the population’s expansion in the later years. The author concludes that “although strikingly different, both styles clearly defined the Garbatella as a Roman neighborhood, and one sensitive to the heritage and social identity of its residents; an identity that still distinguishes and defines the Garbatella today”. [i] But what about contemporary architecture in Rome today? Thinking about the Ara Pacis Museum, MAXXI, Parco della Musica, and MACRO, are they representations or reflections of the modern Rome through their modern appearances and high-tech systems? Can they be rebuilt in other cities without change? In my opinion, because of the different architects’ specific concerns of the background of the architecture in Rome, the buildings have already embodied the identity of the city. Related to the history, culture, politics, context and other issues, any modern building in Rome couldn’t be replaced by others due to their links to Roman identity. Actually, even though each of these projects are very different, they all convey the city’s identity in a modern, experiential way. As reflections of Roman identity, I believe that more and more people will accept the modern buildings that describe the new life style in Rome. [i] Michelis, Antonella De, The garden suburb of the Garbatella, 1920-1929: defining community and identity through planning in post-war Rome, Rome Study Center, University of California, 2009, p. 518. After years of studying about Franco Albini, Professor Jones is writing a book to inspire other architects and designers by providing insights about Albini’s achievements and most important, yet not completely well-known contributions.2 In her book, she considers Albini as one of the most important Italian architects that deserves more attention from the design community. She notes that his works, which include museums and public buildings, could offer valuable lessons about design rigor, unity, logic, and effects beyond style. It is quite shocking to me that Albini is not situated among the modern masters of the last century such as Carlo Scarpa, Louis Kahn, Phillip Jonson, and Renzo Piano – one of Albini’s student. I suppose it does happen a lot in reality, sometimes the student is a lot more famous than the mentor, because more often than not, the mentor doesn’t get much credits for his or her teachings. Jones’s essay on Albini made me contemplate what it’s like to be an architecture professor.3 Some people would say that teaching as a profession is the last resort. In my opinion, it is not true. Without good professors, we wouldn’t be able to be better at what we do. Some professors questions our logic, teaches us to think more, creatively help us seek inspiration, and broades our view on our own design. Some, like Albini, teaches us through silence and work, inspire us through actions like the way Albini inspired Renzo Piano to be the architect he is today. Either way, architecture professors don’t often get the attention they deserve. Perhaps it’s true that those who want to teach architecture are those who are not able to design as well as others, but perhaps they are the ones who realize how important it is to share their knowledge with the world and let someone else continue their legacy. Besides, is architecture solely about design? Doug Patt, an architect who offers insights about architecture in his video series “How To Architect”, believes that architecture is many things, not just design. In his video “The truth about being an architect”, he claims that “architecture is about making form, story, music and inspiration” and it’s also about illuminating one’s life with philosophy, engineering, history, construction, etc. That is why architecture can be a great profession and a horrible business. Consequently, some of us, as architecture students, often get discouraged when we think about post-graduation, we start to worry about where to work, what to do, and lose the motivation to do our best while in school. We look so far into the future that we start to forget what inspires us. We need something, or someone to motivate, remind, and help us find the inspiration we need whether by writing a book like Professor Jones, sharing insights like Doug Patt, or simply teaching architecture. In the end, they are the architects who build inspiration. 1. Kay Bea Jones, guest lecture for the University of Oklahoma, April 16, 2013. 2. Kay Bea Jones, “Chapter One: Introducing Franco Albini” book manuscript. 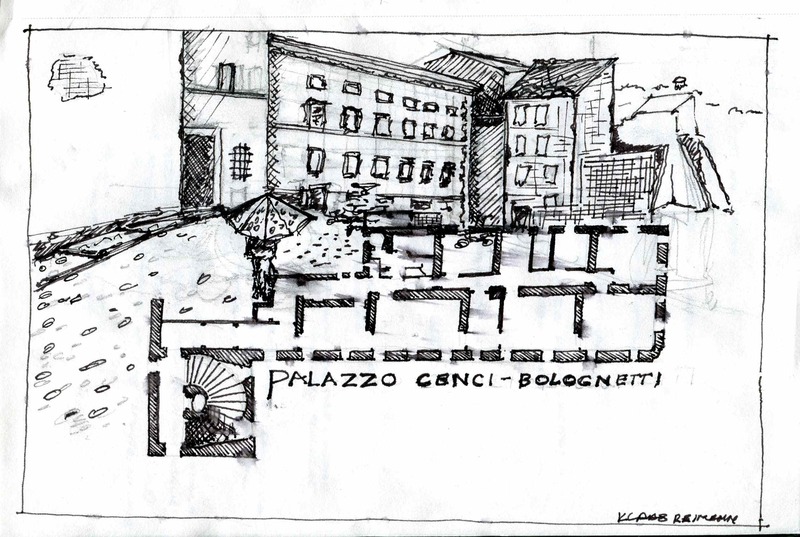 Renzo Piano, “Pezzo per Pezzo,” essay translated by Kay Bea Jones. Monsters are scary. They are bigger than us. They represent the greatest evil, what we fear most. They are our worst fears personified. They are our worst mistakes and illustrate how far we fear we may slip from good. What do our heroes represent? They are what we aspire to be. What we ourselves cannot always be. They are our goals, hopes, and desires in living form. They are the antithesis of monsters, the repelling force against evil. How can a monument to a hero be a monstrosity then? Vanity, pride, deceitfulness, and lies can easily be represented in artistic and creative forms. Such is the basis for propaganda. Usually the word propaganda brings forth overt images like those used by all sides in WWII or the style used during the Cold War to keep the American public away from the commie lies and ease the everyday fears the people of the day faced. But those are more aggressive and obvious instances of propaganda. Could something maintain that in your face quality while still being a more subtle and refined instance of progaganda? Certainly. Allow me to introduce you to the Vittoriano. Situated in the heart of Rome, at the terminus of Via del Corso, and casting a shadow upon the Roman Forum sits the monument to Victorio Emanuele II. It is a beast of a monument. It is so big that it seems to be even bigger because a visitor cannot keep it all in their field of vision unless they cross the Piazza Venezia and even then it seems impossibly large as it stretches off into the distance and toward the heavens. What could the designers possibly have been trying to convey with this marble monster? Power. Unbridled and unmistakable power. The country of Italy was official formed into the debacle that we know it as today in 1861, with later conflicts to take over the hold out city of Rome, after a series of civil unrests that could be called revolutions if the commentator felt so inclined. These fights were spearheaded by Giuseppe Garibaldi, a man who knew how to stir a crowd. The fighting finally lead to a small government forming and proclaiming Victorio Emanuele II king. This was the first time in the modern era that the Italian peninsula had been under the control of one form of government. It was a fantastic achievement, akin to that of successfully herding cats; an accomplishment deserving of a monument befitting the fantastic achievement. The monument dedicated to this event is astounding. Its massive and purely white forms eclipse everything in size and in blindingly white contrast. It dominates your thoughts and controls them, but to what end? Most people don’t even really know what it is for. It is an impressive display of governmental might, but why is it there? Quite frankly, because the Italians want to show you how awesome they are and to glorify their history. That is the propaganda element of the Vittoriano. The rest is purely to boost the ego of the Italians that see it. It is a heroic image for those it represents and at the same time a gaudy monstrosity to the thousands of outsiders that visit it. Welcome to Rome. The city where wherever you go, you will run into some kind of musical talent. Rome is a great city that has many different types of these musical performers. I have seen them everywhere, on the bus, the tram, the metro, while you’re dining at a restaurant, when you’re walking down the street they are there; violin players, accordion players, guitar player’s even instruments that I have never seen are being played throughout all of Rome. Although there are many different people with their instruments you seem to get familiar with “regulars.” Some of these are fun to watch and listen to, however others are a bit what I would call bothersome. Here in Trastevere (neighborhood we live in) we happen to have our regular, “the famous accordion lady”. The mornings are started up not by our day-to-day alarms but rather by the sound of the tram stopping right outside of our apartment. The tram stops, the doors open and out comes the sound of a forceful woman’s voice and the accordion. It would be great if each morning it were a different tune or song, but its every day it is the same old song at the same time. The greatest thing about “the famous accordion lady” is that if you are lucky enough you are able to catch her on the tram on your way to and from school. Even though we do get bothered some by “the famous accordion lady”, I believe that she could have a great future like those of the musicians in the film L’Orchestra di Piazza Vittorio. The film L’Orchestra di Piazza Vittorio is about a group of Italian artists and intellectuals who decide they want to save the old cinema Teatro Apollo. The group went around Rome to find talented musicians to create an orchestra. The artists were from different lifestyles, cultural traditions and religions that are interwoven in everyday Roman life especially in the quarter surrounding Piazza Vittorio, which is home to many immigrant communities. This dream project began in 2001 and within several years, and after many difficulties they became successful. Another artist that would be a great addition to such an orchestra is the violinist that also plays on the tram. He doesn’t play as often as the accordion lady does but he sure does know how to work the violin. However, the best guy that I’ve seen perform yet is one who plays on the street. He differs from those of the tram because he has people come to him drawn by the simplicity and awesomeness of his music. In the end, I believe that if someone were willing to follow in the footsteps of L’Orchestra di Piazza Vittorio and continue bringing together Rome’s street musicians one could create a new and original group. They could start with the the violin guy, the guy who plays on the street or even “the famous accordion lady’’. This could be the start of another successful story of how the city offers opportunities to combine different cultures and talents.